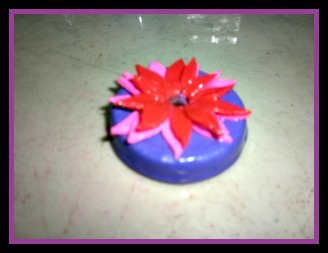 Polymer clay does not contain clay at all. 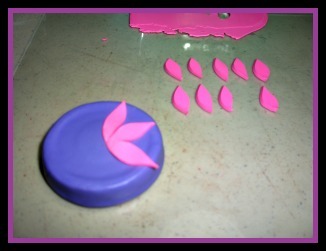 The feel and the workableness is just like clay. 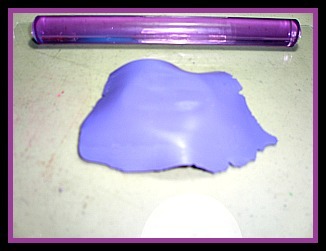 This clay comes in a variety of colors and also many brands, but all brands are not created equal. 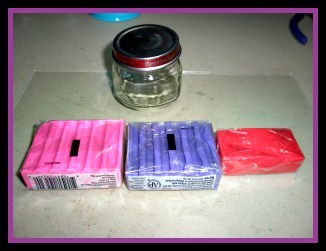 To find out which brands I liked best, I bought one block of clay from each of the manufactures, then I decided which one I liked the best. That is what I suggest you do. 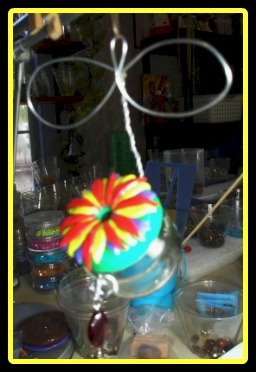 The project that I would like to share with you is a hummingbird feeder. I saw this is an issue of "Birds and Blooms" and I thought it was the cutest thing ever, so I knew I had to make it. 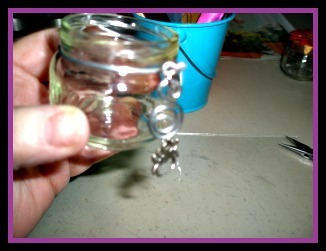 1.Clean and dry your baby food jar. 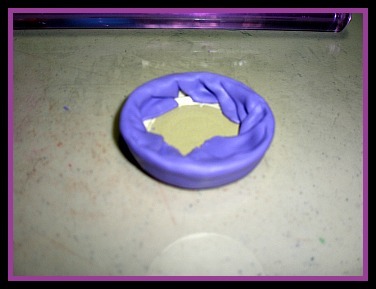 2.Choose the color of clay that you want to use to cover the jar lid. 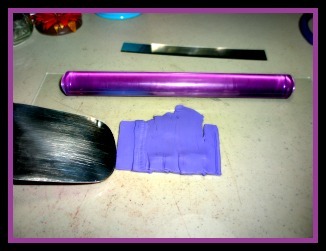 3.Cut 5-6 slices of clay from the bar. 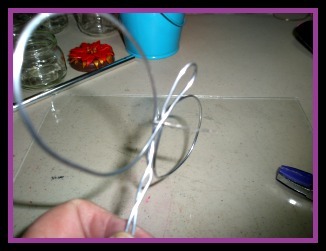 4.Lay flat, overlapping slightly, pressing firmly. 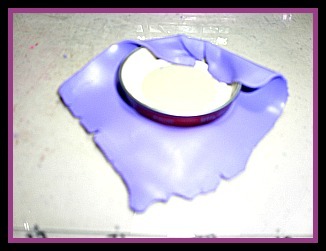 6.Cover lid and smooth into place. 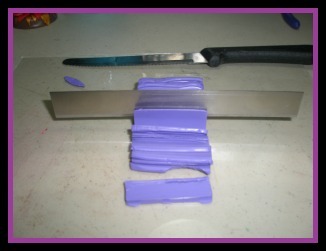 (If you have any air bubbles, pop them with the tip of your exacto knife, then smooth holes with your finger. 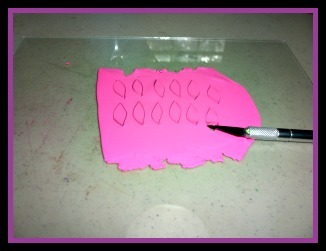 7.Remove excess clay by cutting around edge with exacto knife. 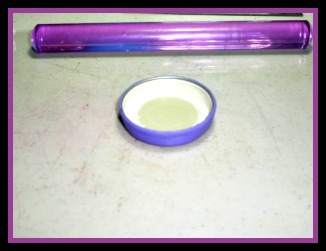 8.Repeat steps 3-5 with your second color. 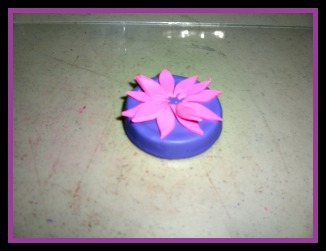 9.Lay your polymer clay on a flat surface and cut flower shapes. 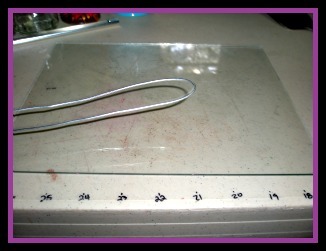 10.Arrange on top of lid. 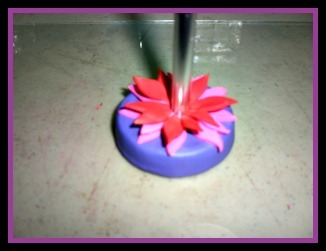 13.Bake your flower at 275-300 degrees for 15 minutes. 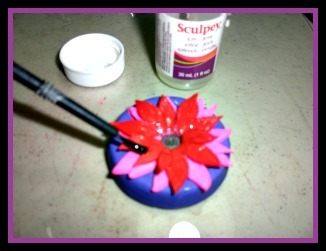 14.When cool, paint with a gloss or satin paint. 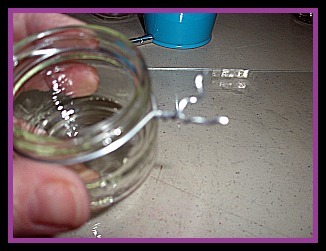 15.Drill a hole through your lid and press the sharp points down on the underside. 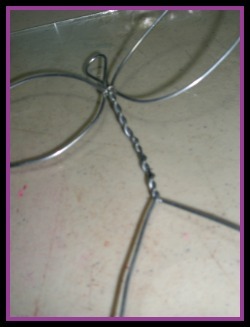 16.Cut a piece of wire about 32"
17.Fold in half, forming a loop. 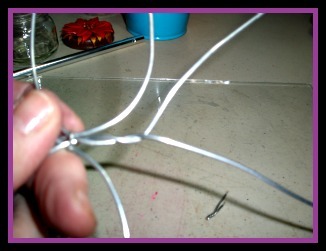 Overlap wires and bend forming loops for a bow. 19. 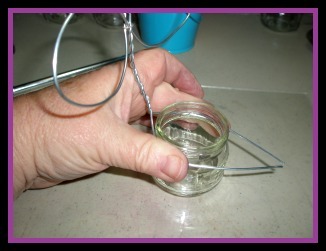 Wrap wire around baby food jar. 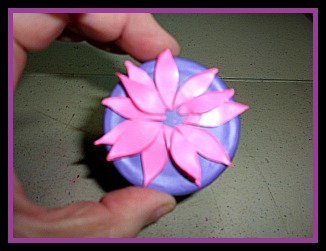 Twisting a few times until it is tight. 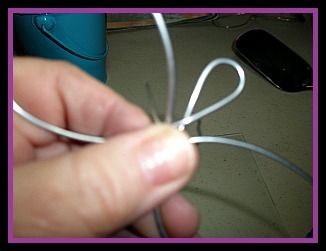 21.Using a pair of needle nose pliers form a loop. 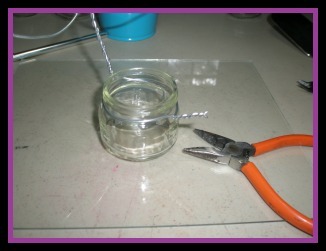 22.Hang a piece of decorative wire and a charm or a pretty bead. 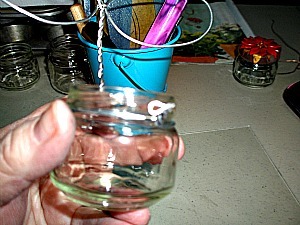 23.Now, fill with sugar water, hang, and let the hummingbirds enjoy. 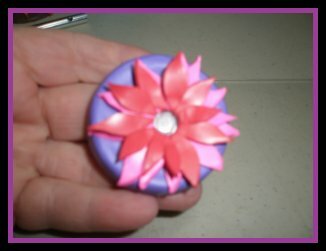 I hope you like using polymer clay, as much as I do. I would love to see the ones that you make. Please share your experience with me. They look really great when hung in a group. 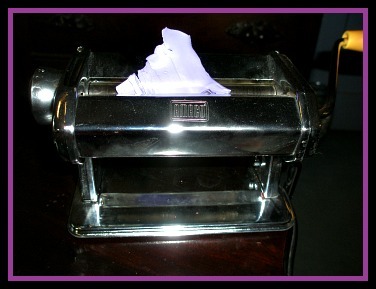 Do You Have A Great Picture/ Story About This Topic? 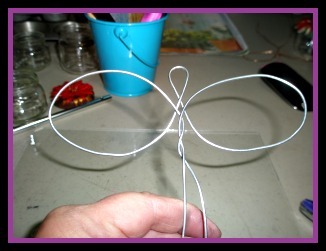 Do you have a great piece of Whimsical Art to share with us? 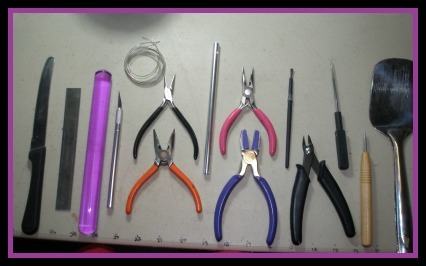 We would love to see what you've made, found, or even bought. Anything, if you love it, it's special.